Last month we had a rematch against Garden State Rollergirls Brick City Bruisers. We played them back in May, which might have been one of my favorite road trips of the Spring. 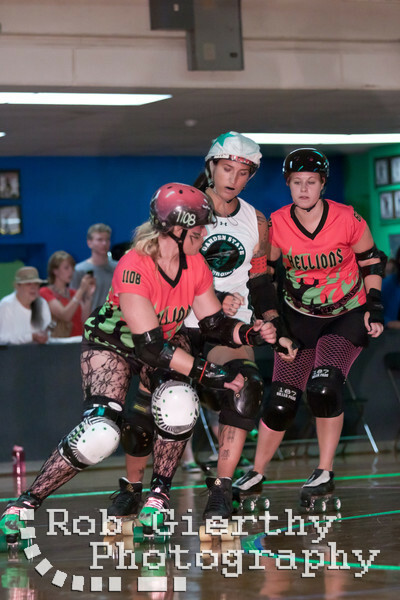 The final score of the bout was 154 Hellions - 98 Garden State. You can check out videos from the bout here: http://www.youtube.com/user/HellionsOfTroy#p/u/12/yy1I31dgdF8 thanks to Space Chalky! 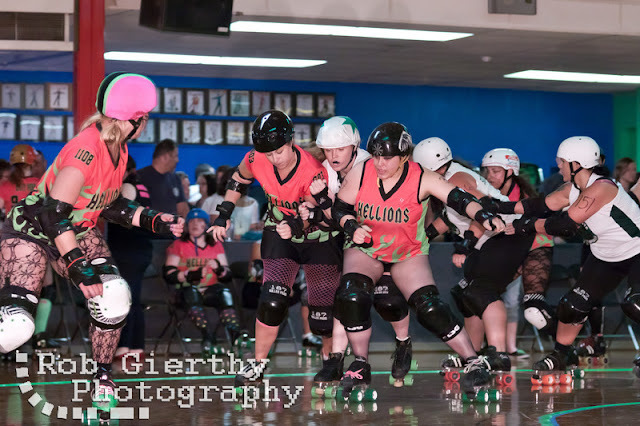 Lastly, check out some photos from Rob Gierthy! Kitty getting through with help from Sally Mae. Awesome elevator door by Epic Kate-tastrophe and Valerie Valkyrie. 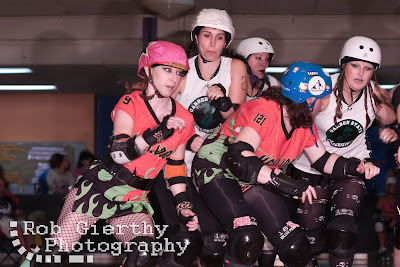 Mathundra Storm doing what she does best - blocking jammers! Two tickets for the price of one - today only! Short Temper! Go away! Leave me alone!